There are no doubts about it – more and more people turn to kayaking when trying to diversify their water adventures. You see plenty of newbies hitting the beach or shores with different types of kayaks matching their expectations. It doesn't just make a good workout, but it's also relaxing and calming. Although there aren't too many differences between kayaks for men and women, certain small details can make your life easier as a woman. The best kayak for women is supposed to be lighter and more stable. Since women naturally weigh less than men, it may also have a lower maximum capacity. All in all, apart from finding the best lightweight kayak, it pays off to look for other kayaking accessories as well. Again, small features can make a product more suitable for women. Now, what are the top rated products to ensure a full kayaking experience in terms of equipment? The Ocean Kayak's Venus 10 model is rated 4.5 out of 5 stars. Up to 94% of all buyers find it perfect or almost perfect. It's specifically designed with the female shape and needs in mind, hence its popularity. We highly recommend this kayak to any women out there. Bungee cord for storage is tight and may be difficult to open for some women. The Venus 10 model from Ocean Kayak measures 118 x 29 x 12 inches. It's a bit longer than a traditional kayak, yet you can also buy it in a different size. This is the standard one though. At the same time, it's slightly narrow, so it will glide through water at a higher speed. It is also the perfect kayak for river. It's a sit on top model and has a small depression where the rider can comfortably sit. Hence, it won't feel like sitting on a surfing board. In terms of capacity, it can take up to 175 pounds. It won't go down with heavier riders either, yet they require more experience. Comfort is a must when riding a kayak; after all, it's supposed to be a relaxing experience. This model comes with a top-notch hybrid seat. It's designed with a woman's shape in mind, as well as the center of gravity. It doesn't look like a major difference from traditional kayaks, yet it will add to your adventure. The seat back is taller than in other kayaks and offers lumbar support. Having lower back support allows riding for hours without having to change positions. The kayak weighs 43 pounds. It might seem heavy carrying it for long distances, but you can still handle it from the beach to the water. It's in fact lighter than other models in this segment. Furthermore, it features carry handles on each side, as well as bow and stern toggle handles. Ocean Kayak's best kayak for women is built with women in mind. Differences are not so obvious though, yet putting it next to a general kayak will make it clear. Another specific feature is the low deck profile. 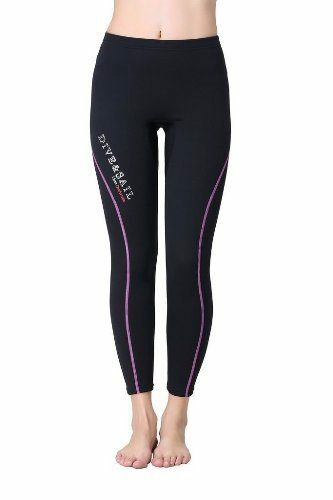 It's suitable for women due to their smaller size, so they're closer to water for more efficient paddling. Storage makes it suitable for long journeys as well, not to mention camping trips. You have a solid bungee to keep your stuff secure. There's storage both in the front and back. Apart from its lightweight profile, this kayak also comes with a center handle. It's rigid and sturdy, but it also makes transportation a breeze. Its main role is to allow easy car topping. You can easily mount the kayak on top of your car with its unique system. Moreover, it's compatible with pretty much most rooftop mounts. In terms of convenience, you'll find the paddle holder a major improvement. It's located on the right side of the kayak and gives you some time to rest after long hours of paddling. Also, it comes with a pull tab for quick release and attach. It might feel challenging attaching the bungee to the respective button, but you'll get used to it after a few tries. The kayak has its own drain plug. It must be screwed in. Taking water out of it will take a few seconds only. It also features a skid plate. There are more accessories you can purchase for this kayak – some of them more important than others. From this point of view, the 6 inch cam lock hatch in the center can add to your convenience in terms of storage. It must be purchased separately though. It's perfectly compatible with this model because it was made by Ocean Kayak. It's also worth noting that 1% of gross sales is donated to the Breast Cancer Fund by the manufacturer. Other kayak brands can be found here. Apart from looking for women's kayaks for sale, make sure you invest in the right accessories as well. A life jacket is a must. This model from Stohlquist Waterware is designed with the female body in mind. Basically, it features contoured inner cups for the bust, but it also wraps around the core without putting uncomfortable tension on it. The foam used in its composition adapts to the shape and size of your bust. It comes with flexible seams to support the adjustable foam construction. It's available in a few different colors, as well as more sizes. Make sure to check the manufacturer's size chart for a good decision. Efficiency is more important than appearance, especially when it comes to life jackets. Luckily, this model leaves no room for mistakes. It has an efficient cross chest cinch strap. It prevents the jacket from going up towards the neck, but it also keeps you floating high if you roll over. Cinch straps are wide and can secure the fit in place, not to mention promoting the airflow. While most jackets feel bulky and can affect your freedom of movement, this one makes an exception. It features a solid 1.5 inch webbing belt, as well as shoulder straps. Even when fully inflated, it will not get in the way, but allow full movement. In terms of storage, you have a few zippered pockets, which also feature drainage ports. You can store your essentials. There are no waterproof pockets though. All in all, the four way lash tab allows attaching other types of safety equipment too. Sides are open for a top-notch ventilation. 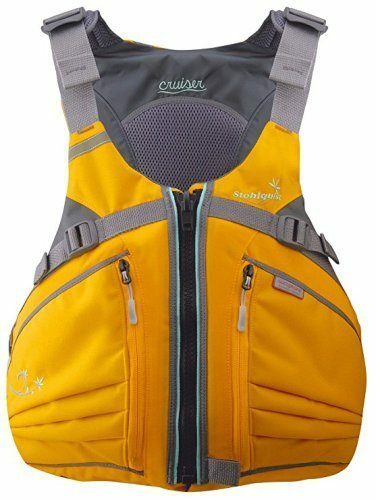 At the same time, the life jacket features mesh around the shoulders, as well as the back. The life jacket is made from Cordura nylon shell. It's extremely durable and will take a good beating. It can withstand UV rays as well, so it will maintain its vibrant colors for ages. Safety goes even further with the reflective accents around the jacket. You have such sports on the back and front, so you're more visible, even in low lighting conditions. Sizes are a bit smaller when compared to other manufacturers, so take note when ordering. It pays off going a bit further from looking for the best recreational kayaks out there, as certain equipment is just as important. Kayaking shoes are designed to last, ensure a good traction and provide some protection. This model is based on fabric. It has a perfect ventilation, so your feet will never sweat. Moreover, even if you roll over, water will instantly drain out. The sole is made from rubber. It's flexible, durable and comfortable, even if you have to step on rocks. 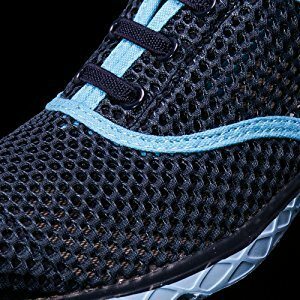 The upper is made from a durable air mesh, which allows feet to breathe. The midsole carries the Solyte quality standards. It's lightweight, durable and bouncy. 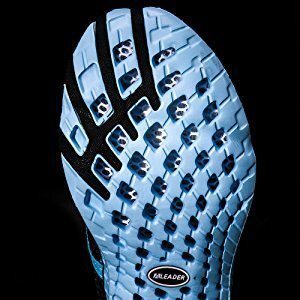 As for the outsole, you can count on exceptional traction in all kinds of conditions. You can literally walk on wet and slippery rocks with no risks at all. The ComforDry sockliner is cushioned, but it also keeps feet cool and dry. It provides a healthy shoe environment. The neoprene wetsuit comes in a few colors and multiple sizes. Each model carries the same quality standards. You have a hydrophobic skin on the outside, which feels like rubber. In other words, it works just like Teflon works in a pan. If you roll over while kayaking or you want to swim, the surface will become slippery in contact with water and you'll glide in a more comfortable way. Comfort goes further than that though – you benefit from stretchy pants that you won't even feel on your body. They adapt to the shape of your body without putting too much pressure. From this point of view, sizes are more general, as one size can obviously fit differently shaped people. The pants limit the water entry and keep you relatively dry on the inside, even if you actually go swimming. While some water may still go through when you dive, chances are it won't make your pants too heavy. It won't reduce the speed or buoyancy either. If you don't go underwater, you'll probably stay dry the whole time. Given the stretchy design, flexibility will never be an issue. You want freedom of movement, but you also need a proper stroke when you swim or dive. 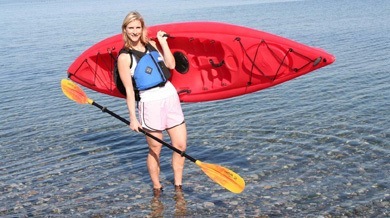 We hope you enjoy our best kayak for women review. In conclusion, having a kayak is not everything, as you'll need more equipment for safety and comfort. A life jacket is a must for safety, while kayak shoes will add to your comfort and efficiency. Also, a proper wetsuit will help when you roll over or decide to swim. Even if you don't want a whole suit, make sure you get at least a pair of neoprene pants. Your writing is valueble for me. Thanks!